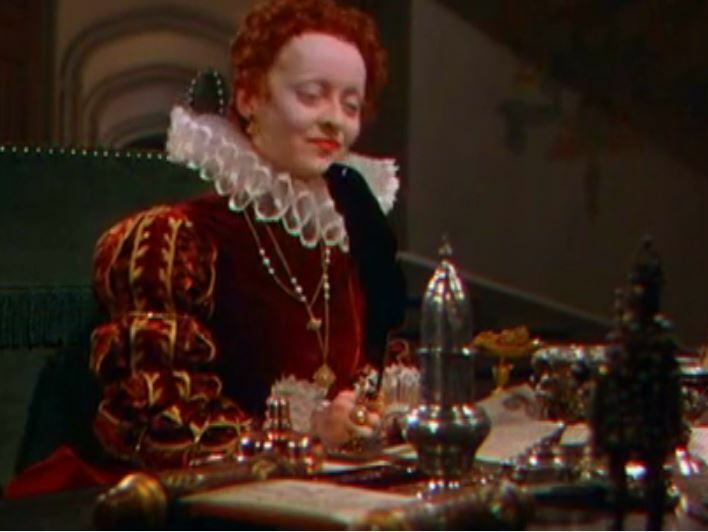 Hollywood movies have never been known for their historical accuracy, which is often sacrificed in the pursuit of entertainment, and the plot & script of the 1939 film 'The Private Lives of Elizabeth and Essex' take more liberties than most. 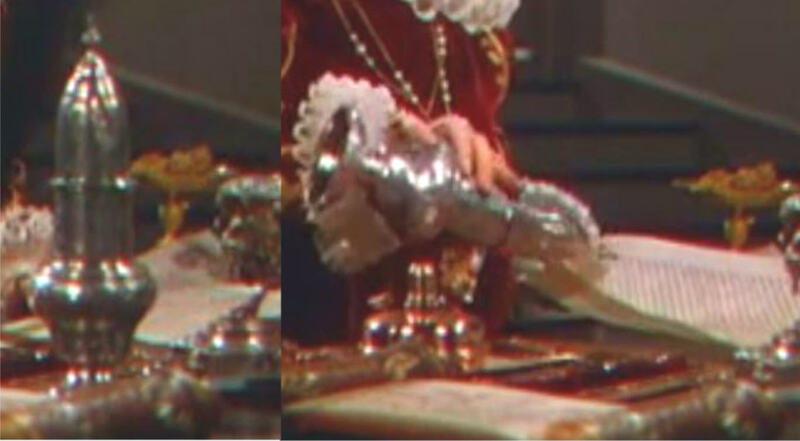 However, there is an interesting detail at around 11m 30secs when 'Elizabeth' is working on some documents. Twice, after seemingly signing off on documents, she picks up the silver object pictured below and appears to sprinkle something on it. Unlike the plot and even the costumes to some extent (though period influences are apparently evident), there seems to be little motive for fabricating this detail. Historical research on this film was in the hands of Warner's Head of Research Herman Lissauer, described in one source as "competent and industrious" (though presumably his views on the historical accuracy of the plot were not requested). Can anyone confirm the authenticity of the scene pictured above? If it is authentic, what is 'Elizabeth' doing? The only thing I can think of is that she is using some kind of scent but I can't find any evidence to support this. Also, would someone use scent on a document which appears to be related to affairs of state rather than being a personal letter? It's a pounce pot, being used to dry the wet ink without having to blot it. As noted here, the pounce itself could be made from any of powdered gum sandarac; crushed pumice (origin of pounce I believe), cuttlefish bone, or eggshell; or allum mixed with resin. This was used both to size the writing surface as well as to dry the ink after writing, and the choice of pounce might be dictated by the requirements. Vellum as well as (unsized rag) paper were the most common writing surfaces, though as noted school desks and privy walls were also not unheard of. Each of these surfaces posed its own challenges to proper calligraphy, from the greasiness of vellum to the roughness of wood or unsized paper, which an appropriate choice and use of pounce could alleviate. Not the answer you're looking for? Browse other questions tagged england early-modern writing tudor-period or ask your own question. What was a “searcher” associated with a funeral in 1690? What was the origin and purpose of the “Montes”?